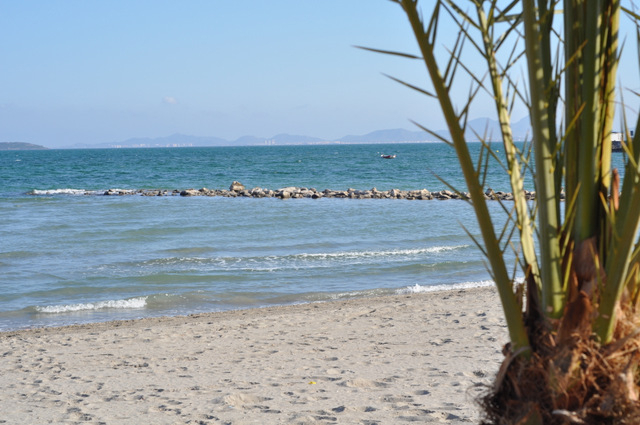 This well-equipped urban sandy beach on the shores of the Mar Menor is situated between Calle Telégrafos and Plaza de la Pescaderia in La Azohía, and has been awarded a Q for Quality flag in recognition of the quality of its installations and its cleanliness. The beach itself is 800 metres long and 15 metres wide, with soft, natural grey sand and a full range of services. 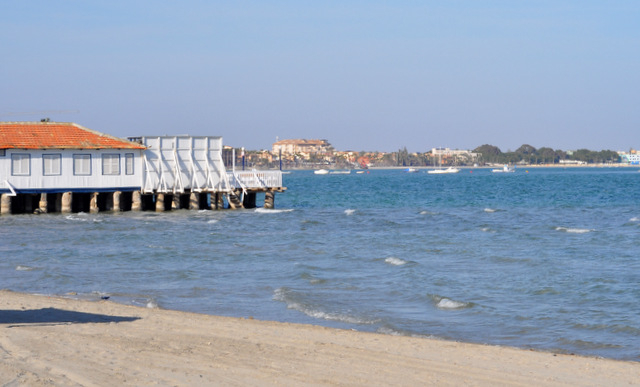 During the summer this area of the Mar Menor is extremely busy and the urban beaches are well-used and have high occupancy during peak months. Los Alcázares has been popular with holidaymakers since the beginning of the 20th century, when visitors from the city of Murcia and Madrid began to migrate to the Mar Menor for the summer. Behind Playa Manzanares is the Hotel “La Encarnación”, built in 1904, making it the oldest hotel in the area and one of the oldest surviving buildings. Its construction dates back to a period when the affluent middle classes from the cities started to visit the seaside to enjoy the therapeutic benefits of bathing in the warm waters of the Mar Menor, using Balnearios, or bathing stations, which stretched out into the Mar Menor on stilts, ensuring bathers a modicum of decency as they entered the warm waters. Just a few metres down the paseo is the Balneario de San Antonio, the only surviving bathing station of its kind. This stretches out over the water and is a lovely place to enjoy a meal: some of the original bathing features still survive and staff are happy to show visitors the original places from which bathers would descend into the water. Behind the beach is a long paved promenade which stretches all the way along the seven beaches of the municipality of Los Alcazares to Playa de las Salinas, a distance of 7km, which is very popular with walkers, joggers and cyclists throughout the year. The mild year-round climate in this part of Spain, with an average of 18 degrees, coupled with the warm waters of the Mar Menor, make this area a haven for all types of water sports and activities. The Mar Menor is Europe's largest salt water lagoon covering a surface area of nearly 170 square kilometres, with 70 kilometres of internal coastline, separated from the Mediterranean by a 22km long strip of land (La Manga). It is only 7 metres deep in the centre. It has shallow fringes and is safe for young families with children due to the shallowness of the water and the lack of waves (it is not tidal), and this is also why it is an excellent area for activities such as canoeing and kayaking. This beach is very well catered for with several beach bars and restaurants situated on the promenade. In the local streets behind the promenade there is some parking available, with a short walk to the beach, but it gets very crowded during summer and parking can be difficult sometimes. Nearby there are small gardens with several footpaths and bicycle rack parking is also available. Playa Manzanares is well serviced, with toilets, footwashes, bins, recycling points, wooden walkways, lifeguard and auxiiary medical service, and also shares disabled toilets and disabled changing facilities with neighbouring Playa El Espejo. During the summer assisted bathing aid is also available.